This is a ring that our jewelers hand-crafted using told tools and techniques. 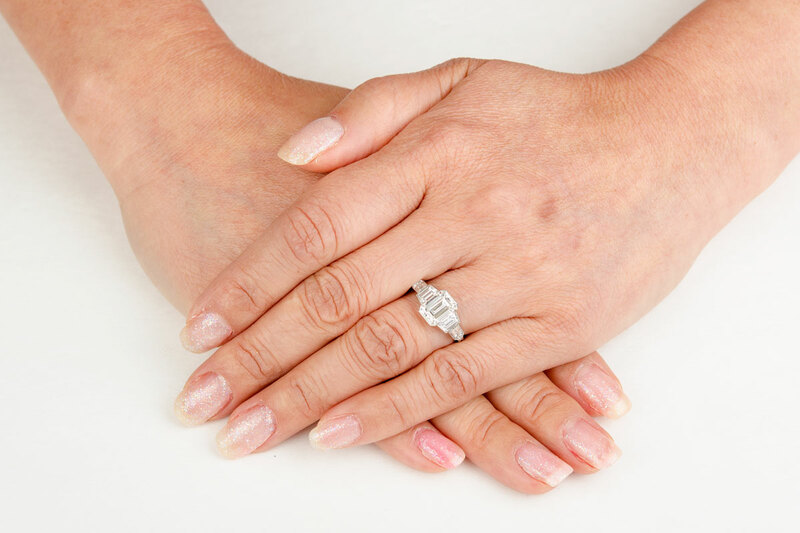 If you are interested in having this ring recreated, please feel free to contact us. 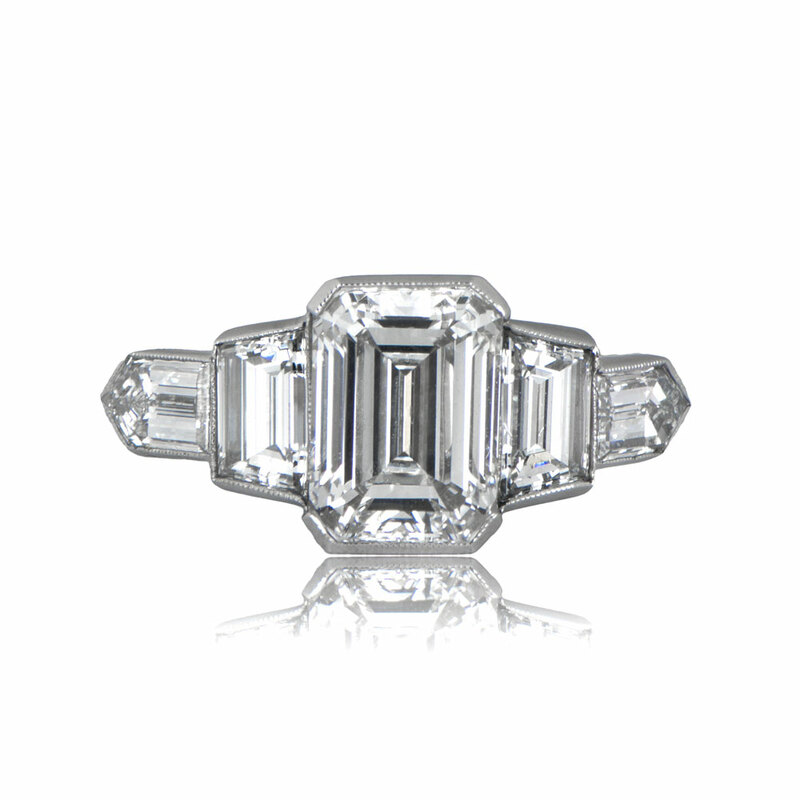 A beautiful Emerald Cut Engagement Ring, accented by a tapered baguette-cut and a bullet-cut diamond on either side. 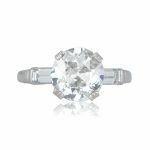 The center diamond is GIA certified as a 2.01ct, I color and VS1 clarity. A copy of the GIA certificate is available upon request. 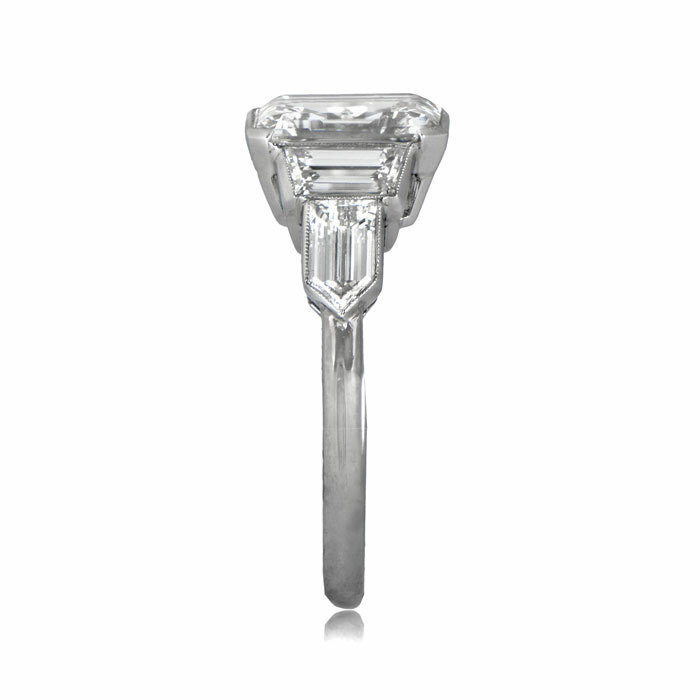 This estate diamond is set in a handcrafted platinum. 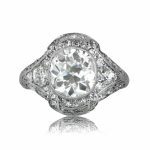 SKU: 11440 Categories: Asscher Cut Engagement Rings, Vintage Engagement Rings Tag: Interesting Engagement Rings - Contact us and request additional pictures.